It’s interesting isn’t it? It seems that no matter where we go or what we are doing, there’s conflict around just about every corner. If we’re lucky, we can steer clear of it, but there are times that it seems to be waiting for us and is unavoidable. Have you ever stopped to really wonder why that is? Conflict is a natural part of human interaction. If dealt with correctly, it can actually be a positive and highly beneficial “springboard” for change and growth. Businesses work hard to create cultures where “healthy confrontation” is the norm. In fact, David Whetten and Kim Cameron in their book Developing Management Skills, note that a leading cause of business failure among large institutions is too much agreement among key leaders. Conflict is a perfectly natural occurrence that can easily arise when one or more people come together in an environment. 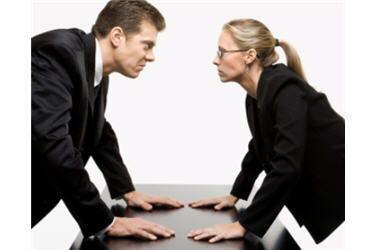 Conflict can actually prove to be valuable and productive, if recognized in time and handled in a productive manner. Conflict situations can be great opportunities for personal growth, particularly by understanding and applying healthy ways of resolving the issue. Conflict usually arises when people begin to feel that they are not being respected or heard, or that their needs are not being met. When confrontations arise, our emotions can prevent us from responding rationally to the circumstance. Our past impacts our present experiences. Early experiences with conflict have a direct effect on our current responses to conflict as adults. Conflict is often magnified in situations where limited space or resources create a perception of potential lack. “Survival instincts” kick into gear in an effort to ensure we are getting our fair share. Due to the emotional nature of confrontation, even the nicest people in the world (even you and me), have the potential to escalate matters into an unhealthy and unproductive situation. Unresolved conflict can create resentments, destroy relationships and lead to long-term, permanent damage to all parties concerned. Visit www.silvercreekpress.ca for more human resource books and information on how to manage more effectively to prevent conflict and resolve it when it occurs.